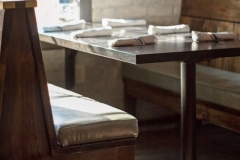 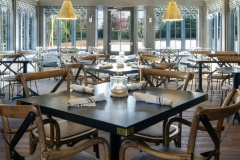 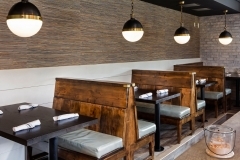 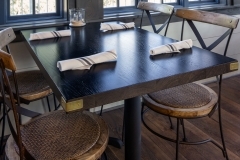 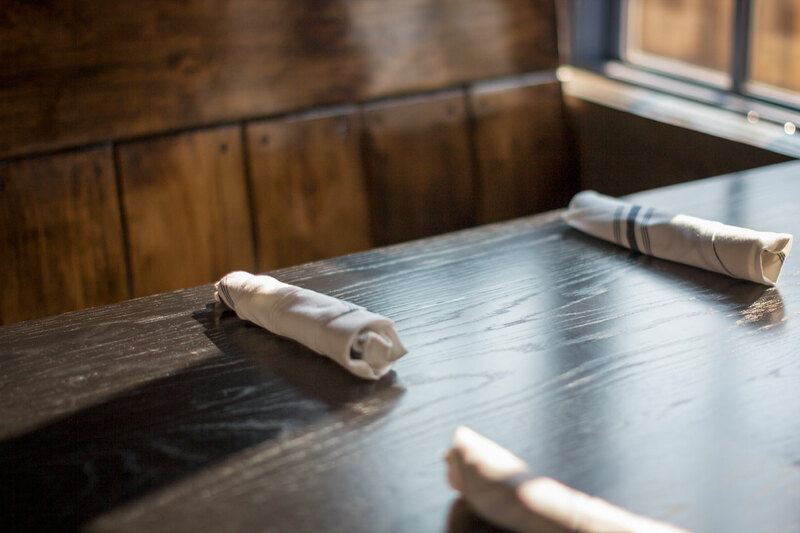 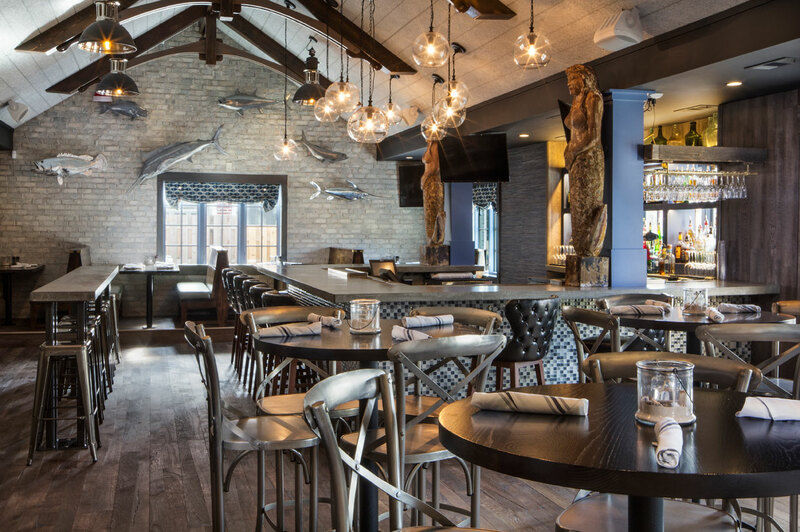 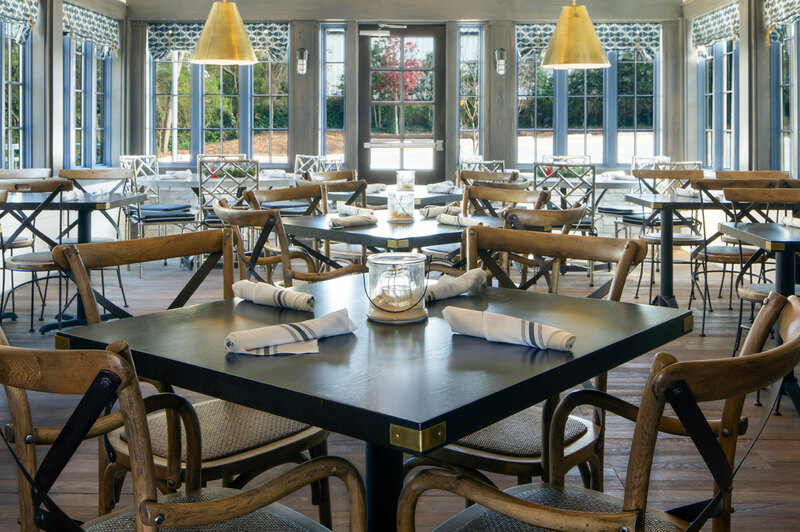 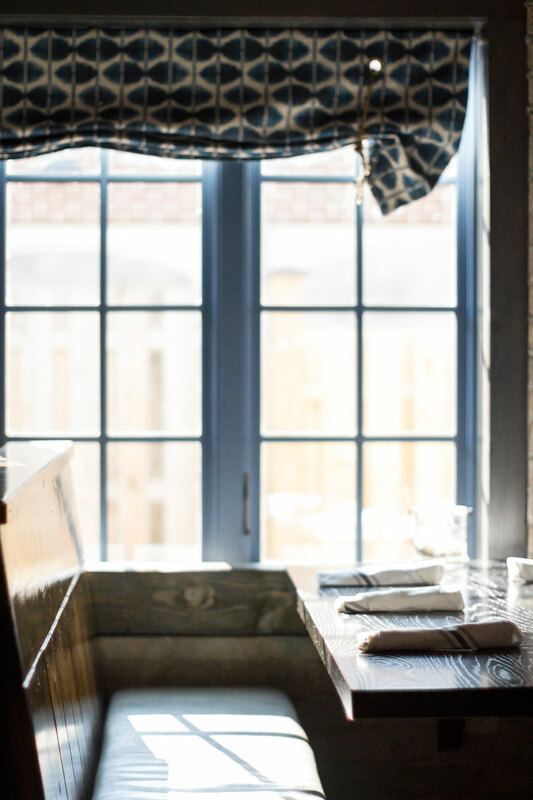 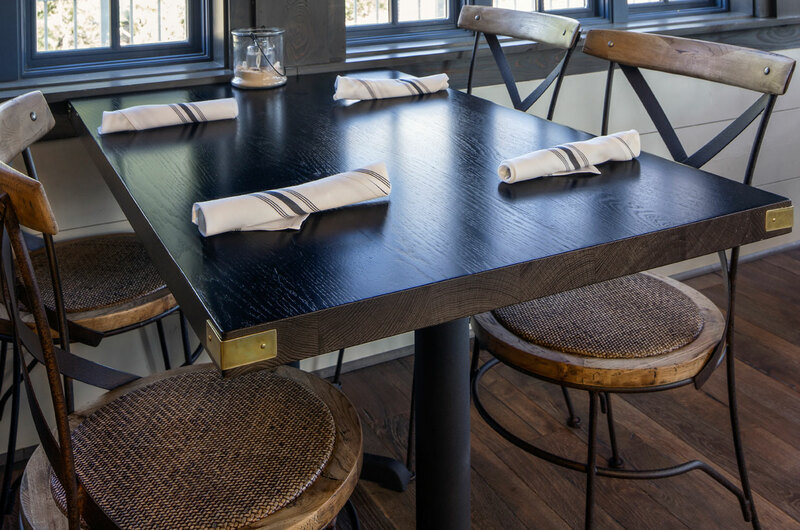 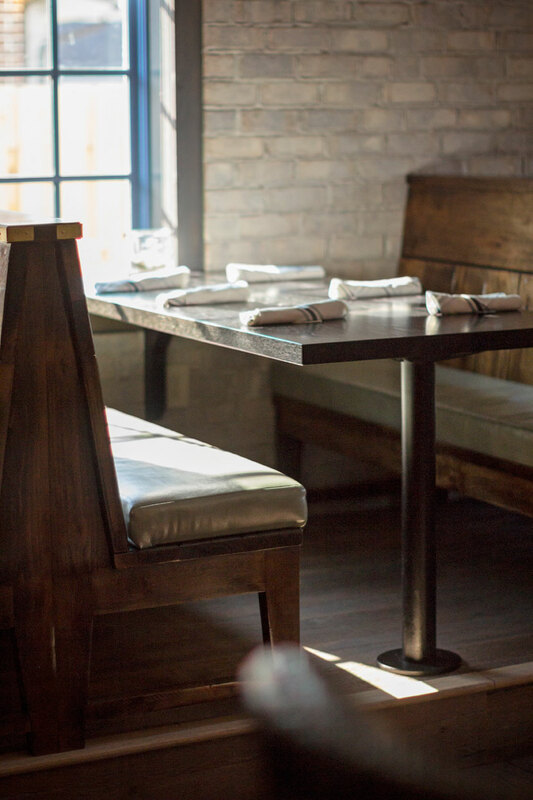 For The Big Catch we worked with their design team to create custom table tops using a very darkly stained white oak. 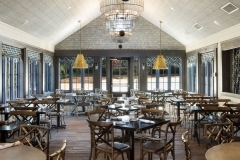 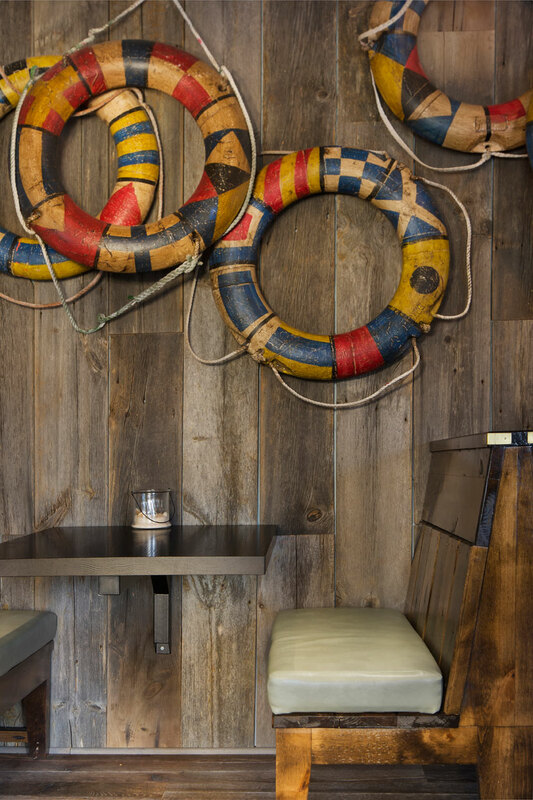 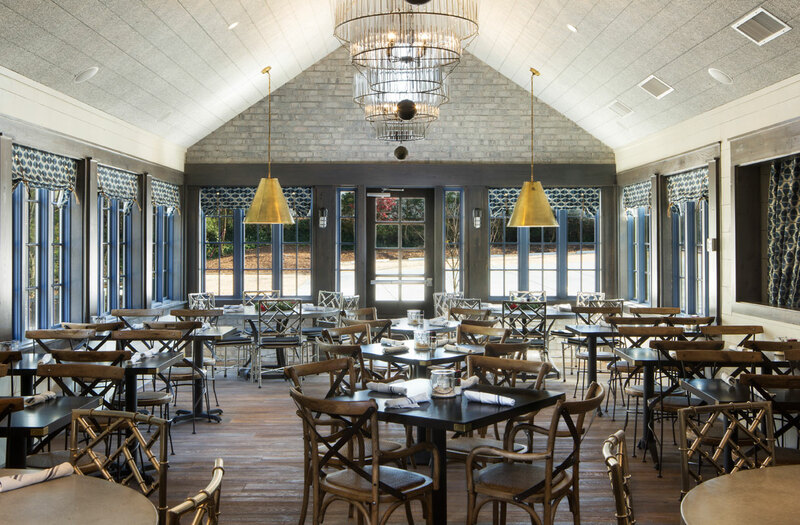 Details like the brass corners add to the restaurants nautical theme. 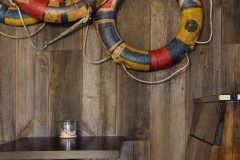 We are happy to provide production samples and ideas to designers and innovative owners.